A tiny town with a population less than 500 near Orleans. For us, it was the perfect base to explore the Upper and Middle sections of France's Loire Valley wine region. Admittedly, this had a lot to do with how much we loved the La Marine Apartments where we stayed. For two weeks, we stayed in one of the apartments above La Marine restaurant. One of the best Airbnb experiences we've had. Both the Loire River and the Canal d'Orleans run through Combleux with paved trails bordering each. 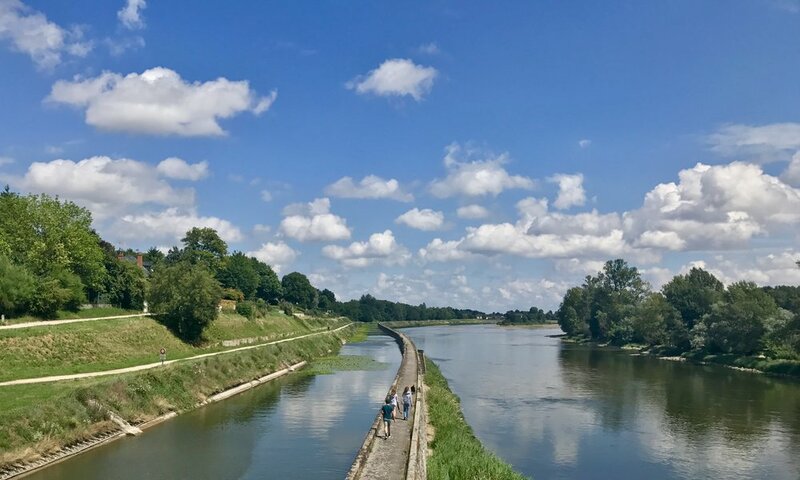 Very popular among locals and tourists bicycling the Loire Valley, we would definitely exercise more if we always had access to running paths such as these. A short drive from Combleux, this is the bakery to go to in the area. Where I remarked to Nicole, "Now I understand the French bakery hype."